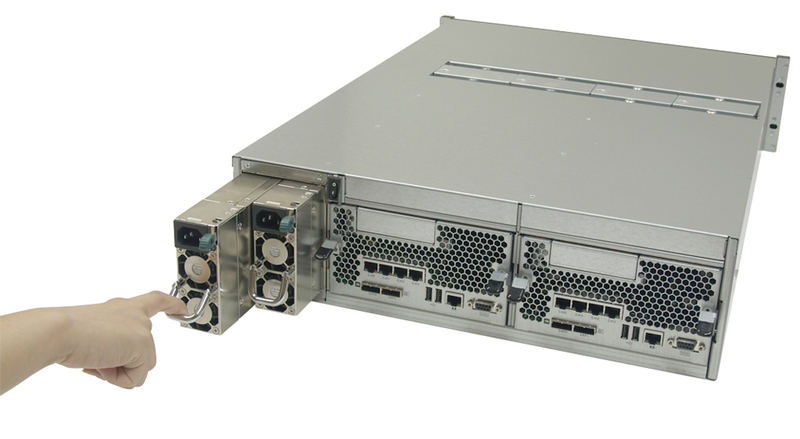 Redundant Controller, ZFS Network Attached 2U Storage, Provides up to 720 TB. Expandable to 120 disks with nine 2U expansion shelves. 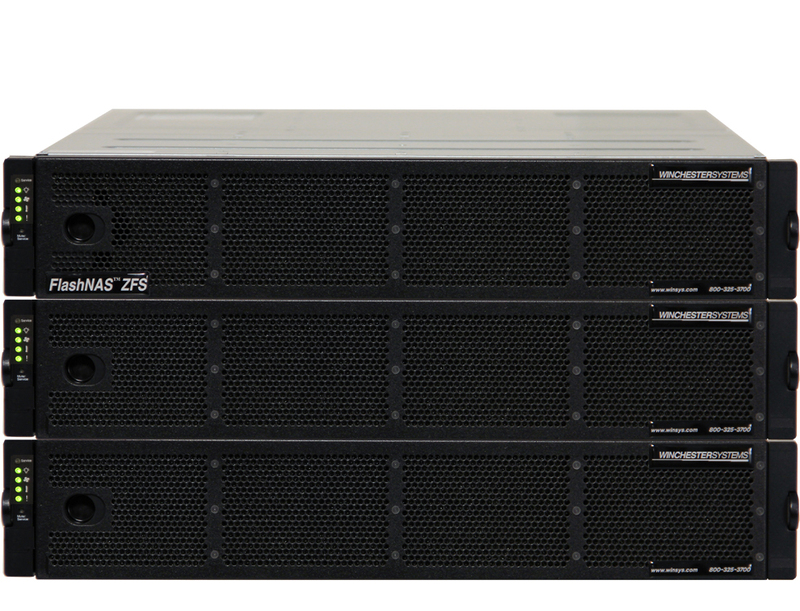 FlashNAS ZFS ZX-2U12 rear view, showing 8 iSCSI 1GbE and 4 iSCSI 10GbE ports. Fans are also easily hot- swapped for non-disruptive service.